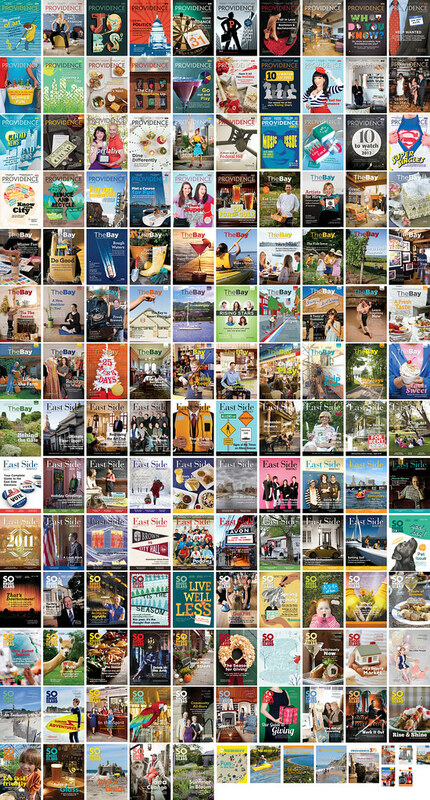 For the past three years, I have worked for Providence Media, a local company that publishes four regional monthly magazines as well as a couple annuals and a smattering of other projects throughout the year. It was my first job after graduating from RISD, and in January 2011 I was promoted to art director, an amazing opportunity that I am so thankful for. I've had the opportunity to collaborate with some great people, get a ton of experience, and make a LOT of magazines. This grid is missing a handful of covers and projects, but it still gives a good representation of everything we worked on. I could not have done this without my incredible team... going to miss them so much!